Health Canada has granted a four-year exemption to Vancouver’s Insite that will allow the safe-injection program to continue operating. In a statement, the Vancouver Coastal Health announced on Thursday that it had received the multi-year permission. 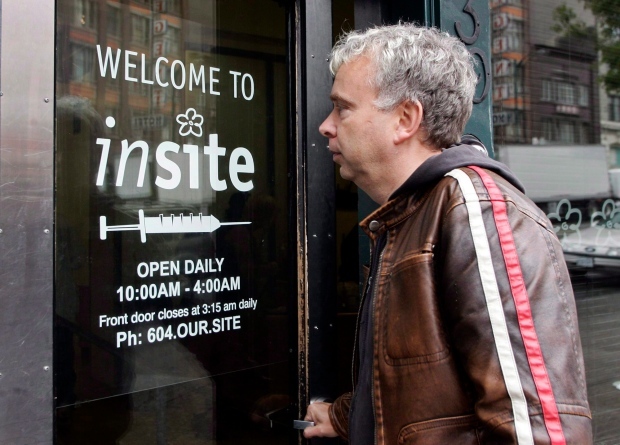 It is the first time since 2011 that Insite, which is located in the city’s Downtown Eastside neighbourhood, has received an exemption lasting longer than a year. 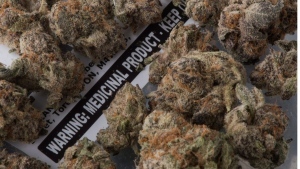 "We are encouraged by Health Canada’s willingness to voluntarily move to a multi-year exemption for Insite,” said B.C. Health Minister Terry Lake in the statement. "It reflects an understanding of the tremendous value the facility has, and signals that Insite is an important part of health services within the Vancouver community in the eyes of the federal government." Insite previously operated for nearly five years under a special exemption granted by the Liberal government between 2003 and 2008. But the Conservative leadership that followed refused to renew the exemption past July 2008. A constitutional challenge was heard by the Supreme Court of Canada. And in 2011, it ruled against the Conservative government's decisions to withdraw Insite's exemption. This is also the first time Insite has applied for an exemption since the Respect for the Communities Act came into law last June. The law was written by the Conservative government after the Supreme Court of Canada ruling. It forces safe-injection sites to meet requirements including consultation with community members, public health officials and local police forces, as well as provincial and territorial health ministers. Applicants also have to provide information on local crime rates and public nuisances. "In practical terms, these new requirements make it onerous for Insite and other supervised injection services to obtain an exemption," said the statement. "VCH is hopeful the federal government will review and change the legislation developed under the previous government." More than two million injections have been carried out since Insite opened more than a decade ago. It is visited by between 600 to 800 clients a day, and there have been no deaths from overdoses during its run. And Dr. Patricia Daly, chief medical health officer at Vancouver Coastal Health, said with overdose deaths on the rise in Vancouver and the presence of fentanyl in the city's illegal drug market, Insite is essential. "Supervised injection services, like those provided at Insite and the Dr. Peter Centre, are needed now more than ever because they save lives and reduce the harm of drug use for people who are actively addicted to injectable drugs," Daly said in the statement. The Dr. Peter Centre, near Vancouver's West End, was granted a two-year exemption to provide supervised injection services by Health Canada in January. B.C. health officials are also considering offering the services in community health clinics in response to a spike in fentanyl overdoses. In addition to providing clean needles and a safe zone for drug users, Insite offers other health care services, such as care for infections and tuberculosis, vaccinations, mental health treatment and addiction counsellors. The facility also has a detox facility called Onsite. In the statement, Vancouver Coastal Health said it plans to seek further exemptions to incorporate supervised injection into other health care services for those suffering from addiction. The news that Insite has been granted a four-year exemption comes just days after Toronto's medical officer of health recommended that the city move ahead with its plans for three supervised drug-injection sites.